Angeles Value Line™ products offer you remarkable quality and value. They're constructed of 5/8" thick, maple-faced melamine panels with 1/4" thick, wood-grained recessed back panels. 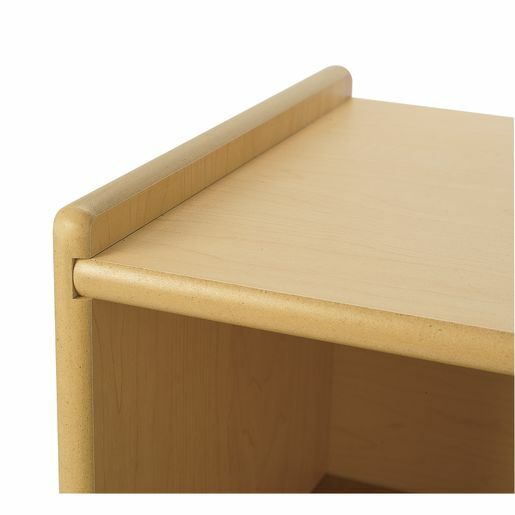 Each piece features rounded edges, sanded smooth and fully finished for a classic look. Units are easy to clean and resistant to stains and scratches. All tools and hardware required for easy assembly are supplied. 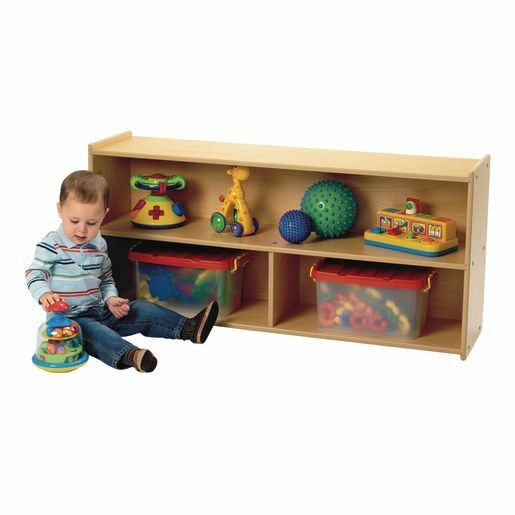 Toddlers will be able to reach toys, books and more with ease! 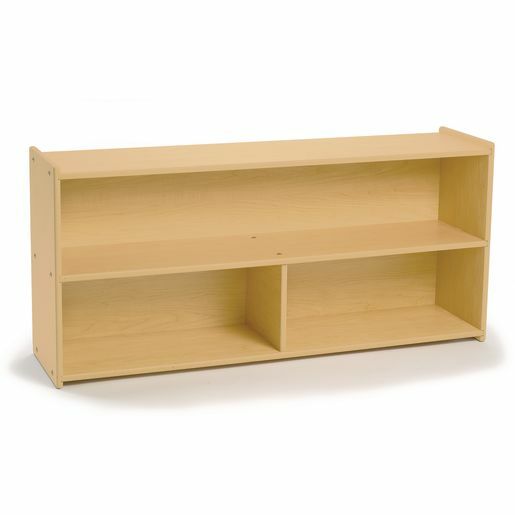 Features a 1/4" thick, solid wood grained recessed back panel; rest of the cabinet consists of 5/8" thick, maple-faced melamine panels. Assembly is required. Includes hardware. 22-1/4"H x 47-3/4"W x 11-3/4"D.